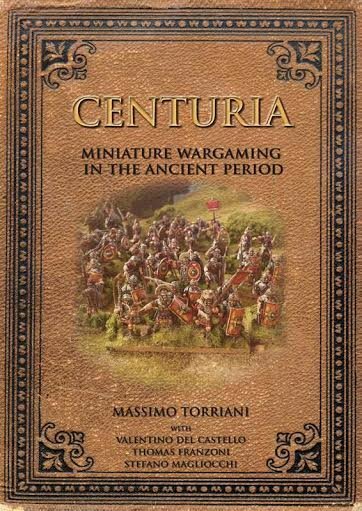 CENTURIA is a wargame for two players or more that lets you simulate battles set in the Ancient Period. The game uses our well-known Action/Reaction mechanism but now includes exciting new rules to better simulate the dynamics of these battles and will allow you make many strategic and tactical decisions that will help you on your way to victory. Closing ranks at the right time, charging the enemy when he’s disordered and making the most of his hesitation to break his lines, these are just some of the new ways of fighting that you’ll find in these pages. The system allows you to play with any scale of miniature and keeps the base sizes fixed while just changing the number of miniatures that are on them. As well as a points system to help you balance your games, each unit also has a Training Value, a value that shows its prowess in Melee, an Armour Value and a number of losses that it can take. The rules also contain three classic scenarios, Vanguard, Ambush and Sacking the Camp which will test your command skills. The game is easy to learn and a normal game will last a couple of hours. Inside you can find 6 armies but you can download other 20 for free on this site. 74 pages + 2 + sheet counters.